To view uniform pricing and sizing, login as a parent/student user. 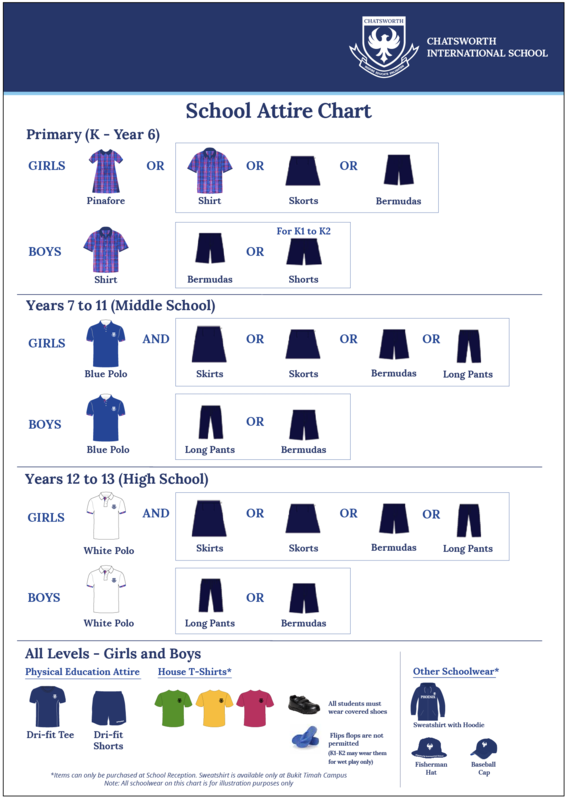 For our Secondary School footwear requirements, view here. House t-shirts, Fisherman Hat and Baseball Cap can only be purchased at School Reception. Sweatshirt is only available only at Bukit Timah Campus.